Curacao is known for Dutch, colonial, architecture painted in the vibrant colours of the Caribbean and is very popular with cruise ships. To find Curacao villa rentals by owner, for your next holiday, simply select Curacao as the destination in the “BROWSE BY” tool bar towards the top of the page. If you have set vacation dates use the “AVAILABILITY SEARCH” box, which blends in/out to the right of the slideshow. 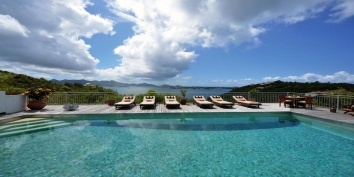 Alternatively, you can simply browse through the following list of Curacao villa rentals by owner. You may also be interested in our slection of Aruba villa rentals and Bonaire villa rentals in the ABC Islands. Villa Sea Paradise, Jan Thiel Bay, Curacao, enjoys a prime location within the in Boca Gentil Resort. Jan Thiel Bay, on the South East Coast, is one of the wealthiest and most prestigious suburbs on the island of Curaçao. This Curacao villa rental is 2 meters above sea level with a tremendous sea terrace and direct, private access to the sea. You will almost feel like you are spending your Curacao vacation in the crytal clear Caribbean Sea. 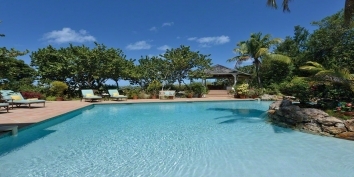 Villa Sea Paradise has 4 bedrooms, 3 bathrooms, swimming pool and a whirlpool with stunning views of the Caribbean Sea. 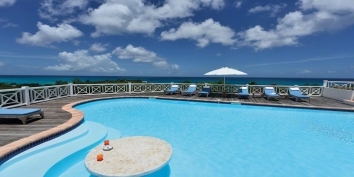 Find out more about Villa Sea Paradise, Jan Thiel Bay, Curacao. Is your Aruba villa already unique on CARIBIQUE? If not, find out how to list your Caribbean villa now!